Our largest olive wood boards. 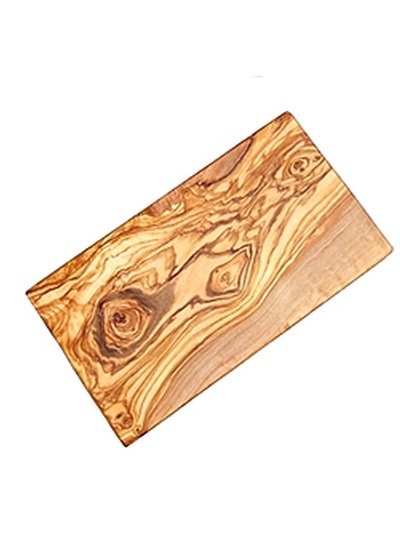 The rustic look of this large hand-crafted cutting board is a great addition to every kitchen. 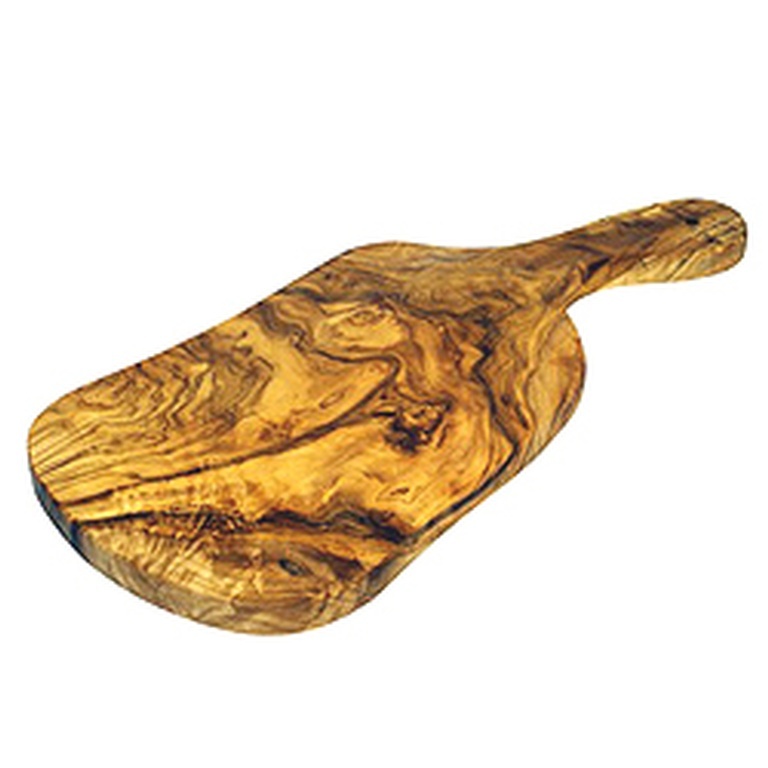 With an ergonomic handle for easy handling, this board can be used to make the most elegant of cheese or charcuterie displays. Use it as a cutting board, or only for display. A certain conversation piece, and one that you can pass down over the years. 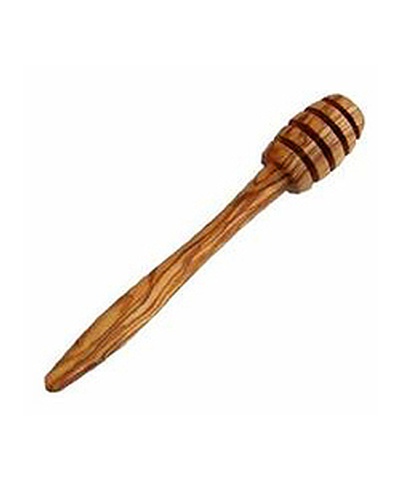 Its solid construction and tight grains will give you many years of enjoyment with some regular care. 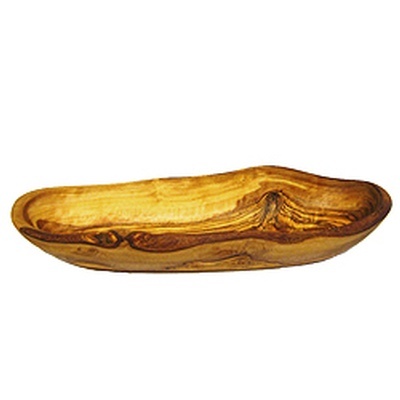 Each piece is extremely durable, and the beautiful tight grains in the wood add elegance, beauty, and uniqueness to every kitchen. Due to its hand-crafted nature no two pieces are alike, and measurements will vary considerably within the limits noted below. Some pieces will have an intentional rustic rough edge adding to their uniqueness. 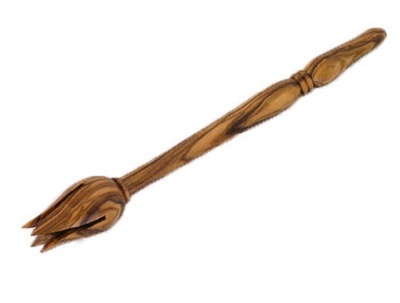 Size: 19.0" - 21.5" length (48cm - 54cm length) - dimensions are approximate, and width varies.